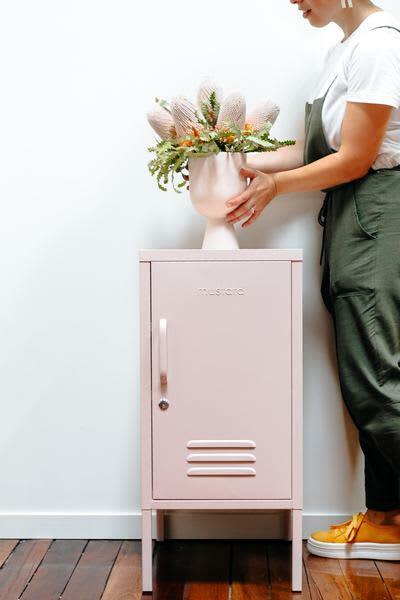 The Shorty Locker makes itself at home tucked neatly next to your desk, snuggled up next to your lounge or sitting beside your bed. Inside Two adjustable shelves, one handy hook, cable hole, safety wall screw holes. Outside Handle, lock, custom keyring, mustard logo, air vents.